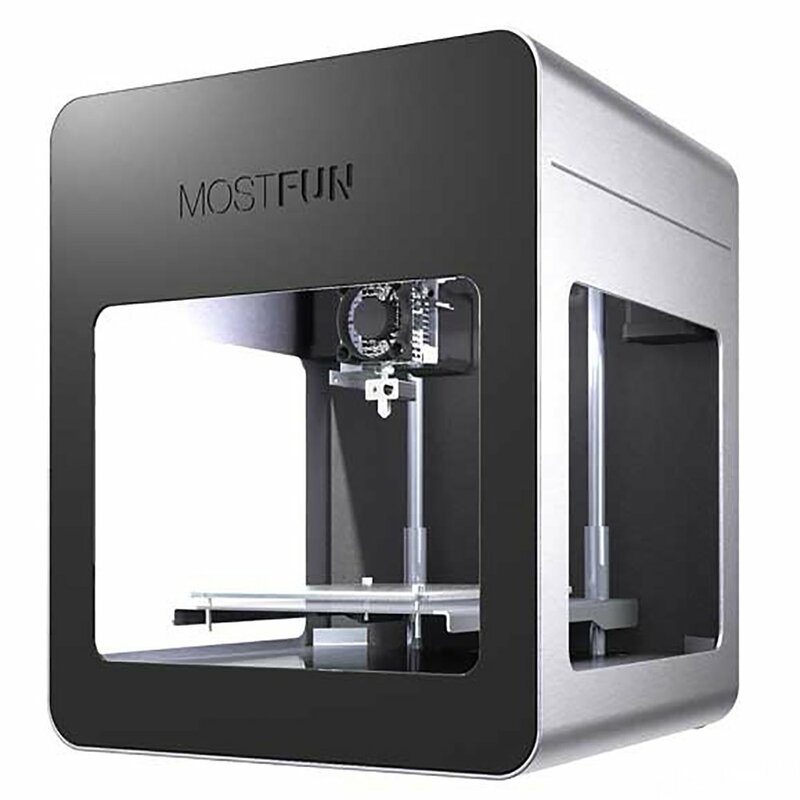 Home › Electronics › Wer Mostfun 3D Printer Metal Frame Structure Acrylic Covers Optimized Build P..
Wer Mostfun 3D Printer Metal Frame Structure Acrylic Covers Optimized Build P..
Quick details: Mostfun molding technology: Melt accumulation curing (FDM) XY instruction: H-type single drive belt XY plane motion structure Print size: X135Y130Z110mm Nozzle diameter: 0.4mm Print resolution: 100um Min thickness: 50um Offline print: sd card offline Connection: usb Consumable: 1.75mmPLA 1.75mm TPU (soft rubber) Power: input(110-240v 2.2A) output(19V 6.32A) Machine Size: 272731cm Machine Weight: 9.4kg Packing weight: 14kg Design: Whether it is architecture, sculpture, or industrial design, mostfun areexcellent aids; whether it is for colleagues, clients, or boss, a file on thecomputer is more intuitive than the solid model. Use mostfun assist yourdesign cycle and cost savings will greatly designed to make your work evenmore powerful! mostfun consumables: mostfun Sail support PLA and TPU two kinds of printing supplies to meet theneeds of your creative ideas; Non-toxic and environmentally friendly printedmaterial, so you do not have to worry about the health risks caused by indooruse; Smaller material shrinkage, so that the model print better; A variety ofcolors with bargain price mostfun guarantee: mostfun Sail printer provides a one-year warranty, and mostfun printerconsumable components are modular in design, if you have questions, you cancontact your local dealer for inspection, as no local dealer, contact mostfunsale inspection issue, and return the damaged parts repair.